Sahid Hotels & Resorts continues to grow and enhance its leadership as the leading national hotel chain in Indonesia after opening three new resorts in Wakatobi, Maumere and Banyuwangi as well as announcement of five other new resorts in Bogor, Bandung, Pangandaran, Lombok and Gili Trawangan which are the top tourist destinations in Indonesia. These additions to its portfolio reinforce Sahid Hotels & Resorts' presence in Indonesia, a focus of major growth in the hotel industry where it now has more than twenty hotels in Indonesia. The five new projects announced by the company confirm its commitment to the country where it begins to focus on growth in the leisure segment. Wakatobi Patuno Resort Managed by SAHID, CAPA Resort Maumere Managed by SAHID and Sahid Resorts Osing Kemiren Banyuwangi are the three latest additions in Indonesia, the result of concerted efforts to grow the Sahid Hotels & Resorts brand to become a different and more attractive brand with an ability to grow and prosper in new vacation destinations in Indonesia. The recently opened Wakatobi Patuno Resort Managed by SAHID has 33 rooms and 38 cottages which are located in the heart of Wangi-Wangi region as the Capital city of Wakatobi Southeast Sulawesi, Indonesia. 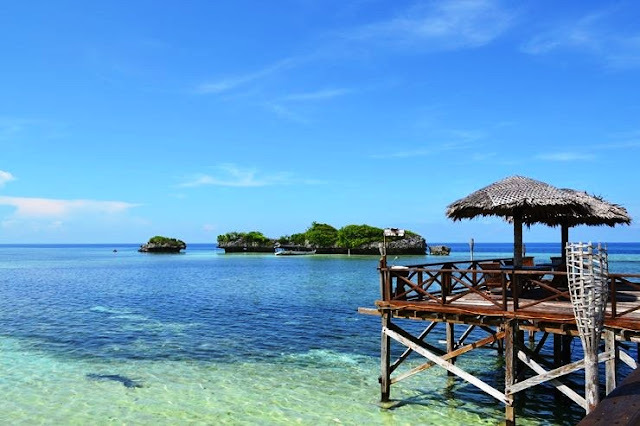 Wakatobi Resort is designed exquisitely and offers the perfect and attractive vacation spot for domestic and international divers and non-divers. This magical island will give you an extraordinary experience that can make holidays more fun along with the natural beauty of Wakatobi. Meanwhile, CAPA Resort Maumere Managed by SAHID has 35 well designed and spacious rooms with breathtaking views overlooking Maumere Bay. Located at Sikka beach Maumere on the eastern coast of Flores Island, 15 minutes from Frans Seda Airport. The town is blessed with a beautiful landscape of hills and mountains complemented with clear green and blue ocean. Maumere, the capital of the district of Sikka, is the perfect staging place to embark on an unforgettable adventure to unveil the beauty of Flores. Last but not least, Sahid Resort Osing Kemiren Banyuwangi is a modern resort that emphasizes local culture, located in Kemiren Tourist Village. The place boasts a total area of 7,600 square meters, has 10 villas and 16 rooms, a restaurant and meeting room. This resort will brings more experiences by integrating the local culture as well as creating an attractive package. It will become an icon with a unique hospitality concept that engages guests with local community. This resort is also the best place to stay if you are planning to go to Kawah Ijen -- Blue Flame Volcano, the biggest Crater Lake in Java.